For roughly the umpteenth thousandth time, I pulled out “The Producers” on Saturday for an afternoon viewing; my husband bemoaned that I ALWAYS do that, but I told him I’d turn it off as soon as the Gene Wilder scene was over. This, I believe is the first time I’ve watched it since we got a giant flatscreen TV, and given that I know most of the lines, what does one do but begin looking closer at the sets? 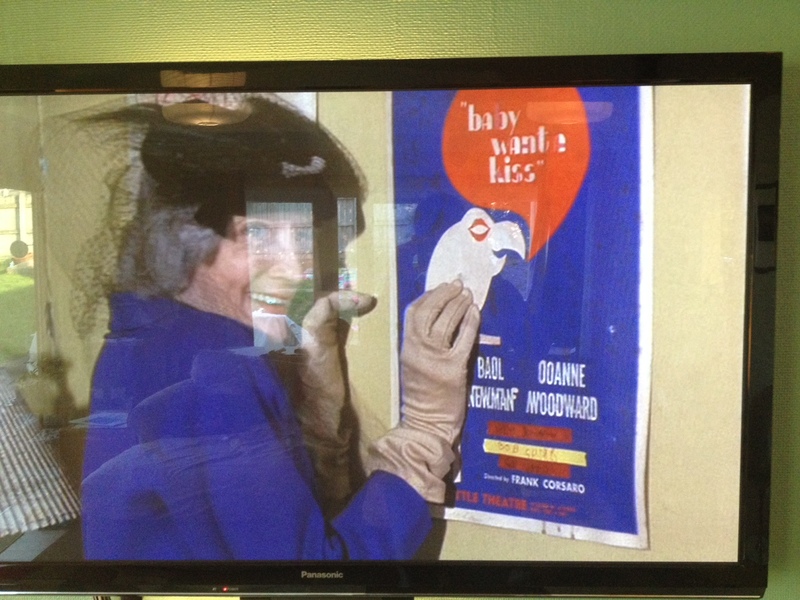 At one point “Hold Me, Touch Me,” is cowering from Bialystock, and there’s a clear shot of one of his many playbills, this one for a show called “Baby Wants A Kiss,” and featuring a parrot with lip-eyes in the graphic. This is where I jumped off the couch and reached for my phone. Why? Because the runaway smash Broadway hit “Baby Want a Kiss” starred none other than that epic Hollywood couple, Baol NewmanF and Ooane Moodward. The supporting cast seems to be a few afterthoughts of tape, possibly named “Bob Gunk”? 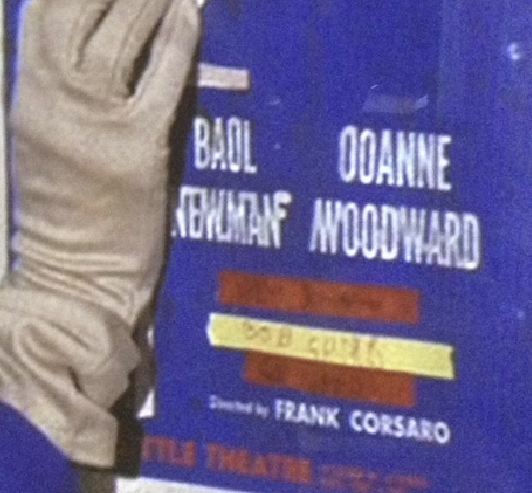 In any case, Frank Corsaro’s name is clear enough, so one quick Google search later, and a visit to the Internet Broadway Database later, and there it is: Baby Want a Kiss,which ran for 148 performances in 1964, and starred two other schleps named Paul Newman and Joanne Woodward. I wonder if Baol and Ooane know about them. Paul and Joanne don’t seem too bothered by it.